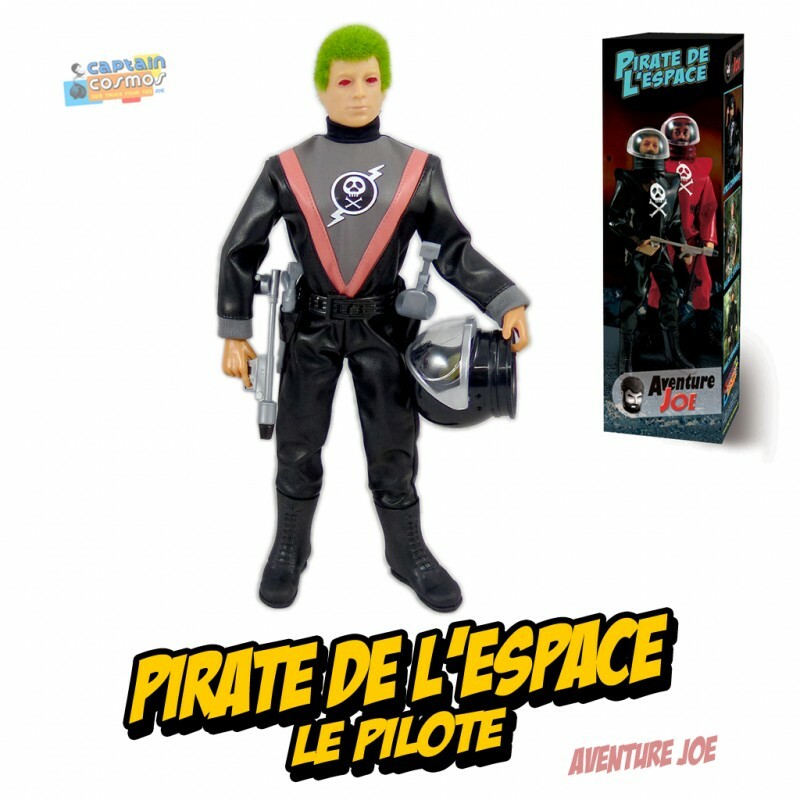 Space Pirate Pilot by Captain Cosmos. • Acccessories: Helmet, boots, belt with 2 holsters, laser handgun sword and rifle. 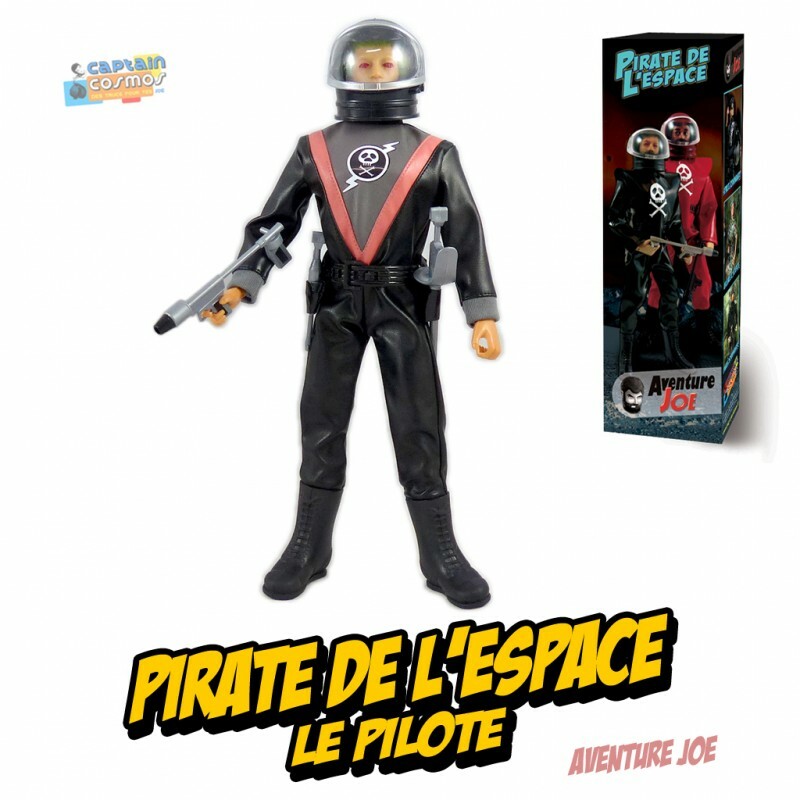 • The Space Pirate outfit in its box.